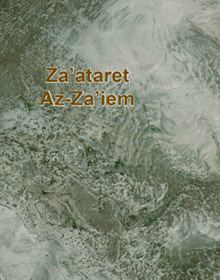 The locality of Za’ataret Az-Za’iem sits west of Ma’ale Adumim and Road No. 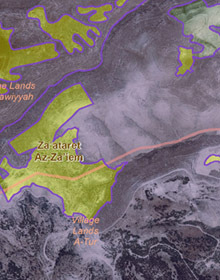 1, east of I’sawiyya and Az-Za’iem, in the heart of the E1 plan. The lands are private, owned by residents of I’sawiyya, and constitute a kind of enclave not included in the jurisdiction realm of Ma’ale Adumim and the E1 plan. 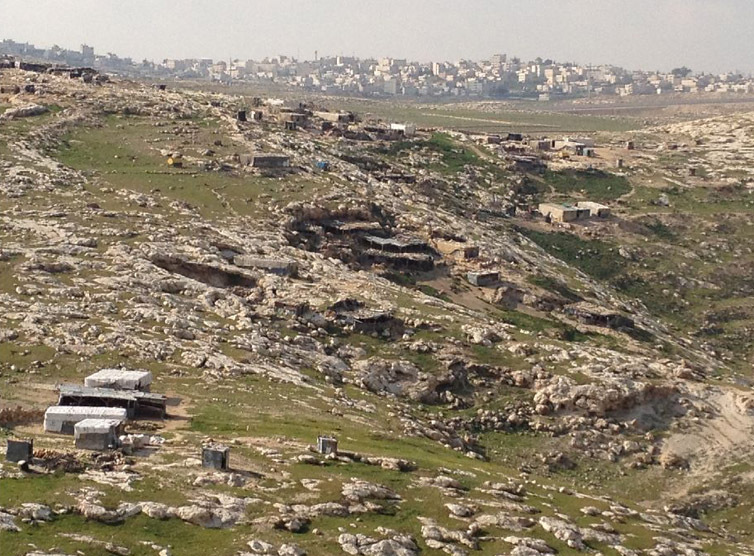 The residents are not Bedouin and do not define themselves as such. They arrived originally, beginning in the 1930s, from As-Sawahra As-Sharqiya, and settled in Za’ataret Az-Za’iem due to a preference for the grazing areas there. 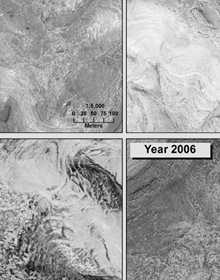 An historical analysis testifies that ongoing settlement has existed there at least since the 1970s. Due to the geographical remoteness and difficult life conditions in the locality, a number of families left over the years, moving to Az-Za’iem and Al-E’izariya, or returning to As-Sawahra As-Sharqiya. According to testimony of the residents, no demolitions ever took place in the locality, but at the same time, already from the early 1980s, it has been made clear to the residents by representatives of the Civil Administration that they are in danger of possible evacuation at any time. In addition, in the mid-1990s, a number of demolition orders were issued for buildings there. Residents do not work at all in agriculture, since the terrain does not allow for it, and their main occupation is grazing the relatively large flocks in their possession. The grazing areas at their disposal are shrinking over the years, as construction, development and the closing off of military areas continue to expand. The flocks provide for the manufacture of milk products for home consumption, barter and marketing mainly in Az-Za’iem and Al-E’izariya. A minority of the residents work, mainly in construction, in localities and settlements in the area. The women do not work at all outside the home, except with the flocks and in the manufacture of milk products. Residents suffer from serious problems of accessibility. The only open access road on which they are permitted to travel is a poorly maintained dirt road that sets out from Az-Za’iem. Public transportation also does not reach the locality at all, and the closest place where it is available is Az-Za’iem. The students there, some 15 boys and girls, walk a long distance to and from schools in Az-Za’iem and Al-E’izariya.